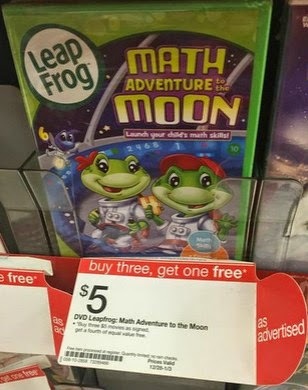 There are some awesome Kids DVDs on Sale this week at Target! Right now you can grab some great titles for only $5 + they’re buy 3 get 1 FREE, so you can grab 4 movies for only $3.75 each! Right now they have some really great Teenage Mutant Ninja Turtles Movies, Barney Movies, LeapFrog Movies and more for only $3.75 each when you buy 4.